More topics will come. If you’ve topics not listed above you want to read about, write a comment on this post. Yesterday morning Microsoft launched Windows 8 at the BUILD-conference in Anaheim. Windows 8 has a completely new tile- and touch-based UI with the Metro-Style we already know from Windows Phone 7. All applications built for Windows 7 will still run on Windows 8. 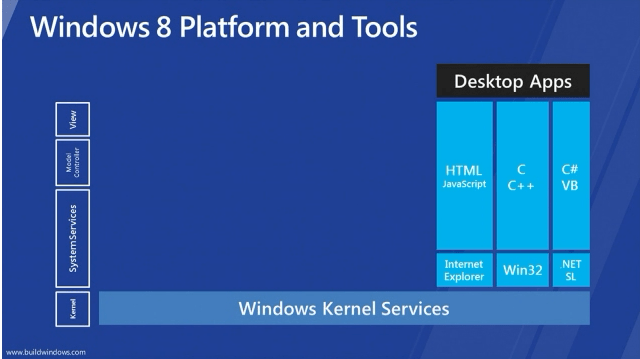 Ok, know let’s look at the platform and the tools we’re using today with Windows. The problem Microsoft mentioned here is that these three things don’t work together very well. Therefore Microsoft reimagined the Windows-8-platform. You can use any language you wan’t to build the metro-style applications like the picture below shows. There’s Version 11 of Visual Studio that let’s you create the same Metro-style applications in the different languages. Expression Blend 5 will beside XAML also support HTML. So there’s a great tooling for all view-languages. Applications can be published in an App Store called the Windows Store. Same principle as Apple has with their App Store in Mac OS X Lion. 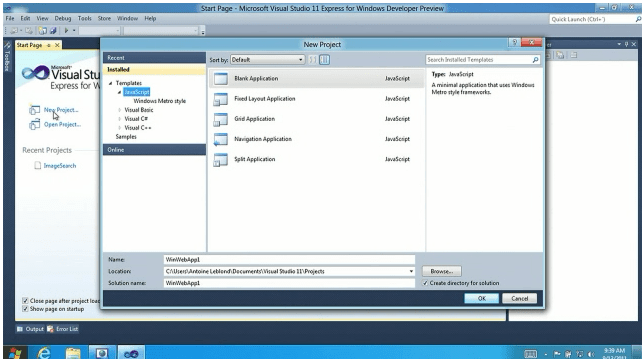 Visual Studio 2011 therefore contains a new store-menu where you can upload a package directly from visual studio. 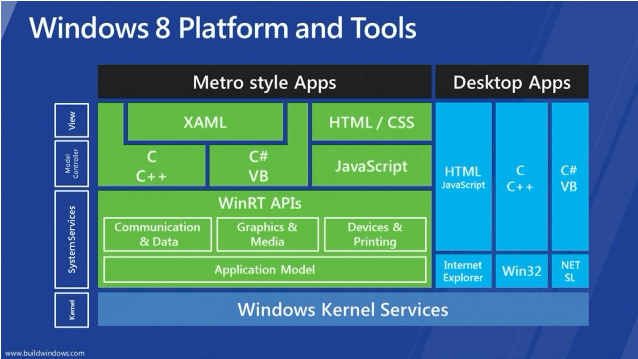 Ok, the big question after knowing all of that is what happens to .NET, Silverlight, WPF in Windows 8? XAML stays, but Silverlight and WPF are just on the side, aren’t they? Let’s download the preview and discuss. An der GUI & Design-Konferenz in Nürnberg durfte ich heute zwei Vorträge zu den Themen “Controls in WPF/Silverlight designen und entwickeln” und “Hardwarenahe Programmierung in WPF/Silverlight mit Pixelshadern” halten. Bei Ihnen als Teilnehmer möchte ich mich an dieser Stelle recht herzlich für das grosse Interesse und die Aufmerksamkeit bedanken. Ich hoffe, es hat Ihnen gefallen und Sie konnten das ein oder andere für die Praxis mitnehmen. Those of you, who have already developed with WPF “and” Silverlight might know, that Silverlight contains a different XAML-Parser than WPF does.